Mountain Mods 2 PCI Modular IO bracket is a great part for those in need of more PCI ports than there case affords. Ideal for those looking to use riser cards for additional video cards, the 2 PCI Modular IO bracket can be mounted easily to any case that has space to do so. 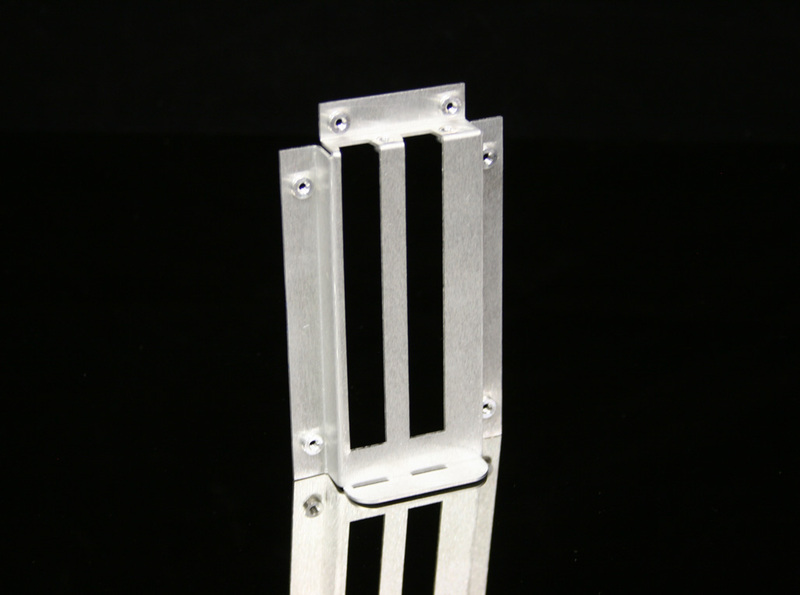 The bracket is manufactured from high grade Aluminum with a brushed/grained finish. An inward flange (metal bend) allows for a secure application. After mounting the bracket to your case, simply install your card/device into the modular bracket and attach with 6-32 screws at the top of the card/device. The end of the device will slide into the slotted flange at the bottom for increased security. Look at additional image file to see cutout required for mounting the bracket.